Released a year after Diabolic’s “Infinity Through Purification” the debut (and currently, only) album from Tampa, Florida death troop Unholy Ghost proves conclusively who was responsible for that band’s continual streak of utter mediocrity and pointless genericness. Whereas the newly put together Malone-led Diabolic went all out, and tried to break new ground, musically and lyrically – Unholy Ghost does exactly as they had done before and contents itself by doing nothing more. Beyond some superficial conceptual variations (in terms of artwork and guitar solos) this is a Diabolic record through and through – and it sounds exactly like the three records these three members featured on. Despite the adversity, the hardship and tribulations – nothing has changed for the trio, and given the circumstances that is a poor choice on their part. Unholy Ghost is Diabolic in everything but name, with all the shortcomings and defects that entails. “Torrential Reign” is a solid, unremarkable second-tier album from a band that shouldn’t have existed in the first place. It is reliable in what it does, but that doesn’t make it good. In good old Diabolic tradition the record starts off with ‘The Calling Of Sin’, a blasting opener that attempts to recapture the alchemy of ‘Extinction Level Event’ or ‘Sacrament Of Fiends’. It doesn’t really lead anywhere, and the second track ‘Soul Disment’ should readily prove just how little the band has changed at all since “Vengeance Ascending”. Diabolic was never what you call a technical band, or a very creative one – and Unholy Ghost, its direct successor, gladly lifts from the same well. 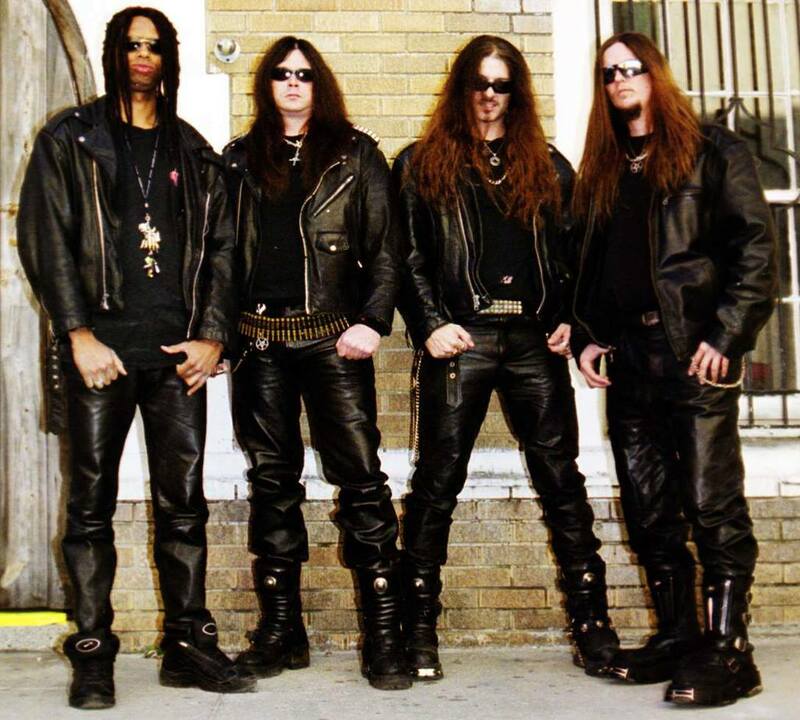 Morbid Angel, Possessed and German thrash metal are its most direct influences, along with latter-day Pessimist and Brazilian trio Krisiun that can be heard in bits and parts. The Pessimist influence isn’t all that surprising given the presence of lead guitarist Kelly McLauchlin. It is only his presence that elevates Unholy Ghost above mediocrity, as his chaotic, mesmerizing leads/solos are far more elaborate and engrossing than those of Jerry Mortellaro and even Brian Malone, although his style is surprisingly close to theirs on this record. In all there’s no progression to speak of. Not in terms of instrumental skill and musicianship, and certainly not in terms of songwriting prowess. Everything is exactly as it was before. There are three former Diabolic members present, and all are accounted for to bring their expected and usual performance to this disc. Paul Ouellette on vocals and bass guitar brings his boorish hoarse grunt that is somewhere between Jason Avery (ex-Monstrosity) and “Altars Of Madness” David Vincent. His pronunciation, nor his lyrics are very good and there is no evolution to speak of since his last appearance. The bass guitar can be briefly heard on ‘Eyes Of Lost’, but it is content to double the guitars. Jerry Mortellaro (lead guitars) has become slightly better in the lead department, but the riffs he writes are somewhere between the most uninspired works of Deicide, Morbid Angel and Possessed. Kelly McLauchlin (lead guitars) is the most talented member present, and since he has been forced to adopt his style to the majority, none of his usual riffs are to be found here. At least he was able to retain much of lead/solo writing and he stands heads and shoulders above any of his peers, be they Brian Malone or Jerry Mortellaro. Aantar Lee Coates sits behind the drums, and his drumming is as limited, blast-oriented and one-dimensional as it was on any of the albums he was on in his Diabolic tenure. You’d be hardpressed to tell this album apart from “Vengeance Ascending” aside from the tonally vaster production, and the dynamically richer compositions (although that isn’t saying much). Once again the band holed up at Diet Of Worms in Florida and with exception of the crunchier and thicker guitar tone, Coates’ dominant snare drums and impotent kickdrums – this is a Diabolic record in tone, construction and in the parts where it isn’t, it can be simply rationalized by the fact that this was a splinter project. The music is as overindulgent (especially in terms of drumming), busy and single-minded as it was in the previous band setup. Not even a new writing partner can bump up the trio’s immensely mediocre songwriting capabilities. Neither does the band do anything to accommodate Kelly McLauchlin’s writing talent and superior skill level. The Unholy Ghost logo has similarities with the Diabolic logo, and the digital artwork of Swedish artist Matthias Norén from ProgArt Media is better if only by grace that it is, thankfully, different from the goofy satanic/horror canvasses by Danish painter Joe Petagno this band adorned its album covers with when they were still called Diabolic. Since Unholy Ghost was the creative vessel for Aantar Lee Coates, it isn’t very surprising that he had a hand in the majority of material present on this disc. All material was written by the Coates-Mortellaro axis, with exception of ‘Denunciation – the Cursed’ and ‘Torrential Reign’ being written with assistance by Kelly McLauchlin, ‘Under Existence’ was co-written with Paul Ouellette and ‘The Apparition’ was co-written by producer Juan ‘Punchy’ Gonzales and Coates. A promo video was shot for ‘Under Existence’, but that helped little in further expanding the band’s fanbase. A proposed follow-up to this album was announced. “Blasphemy Of the Grand Divine” would never materialize in any shape or form as the project fell apart due to infighting. In the two years after the release of the album Unholy Ghost would be besieged by the usual line-up woes with both Coates and McLauchlin taking their leave. 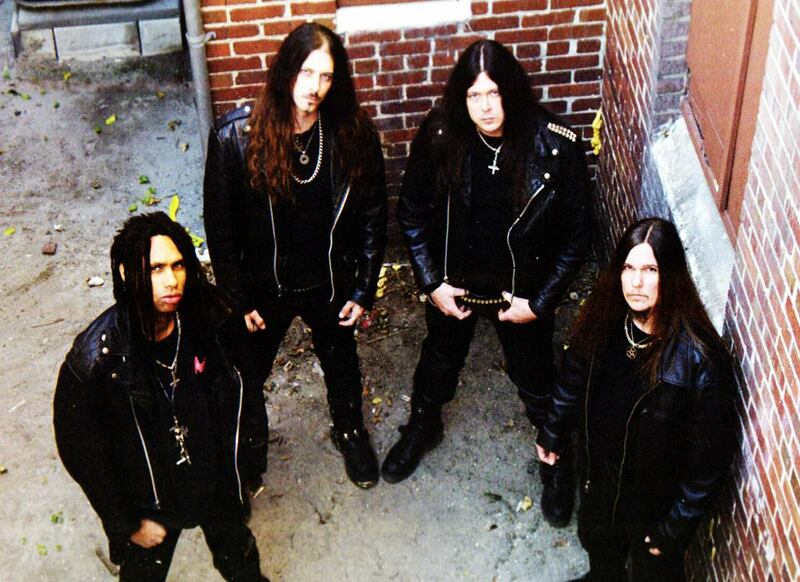 The former would briefly initiate a band called Blastmasters as an excuse to later revive his main project Diabolic. McLauchlin would return to Maryland and resurrect Pessimist on a theoretical level, only later to join legendary proto-death metallers Possessed as a touring guitarist. 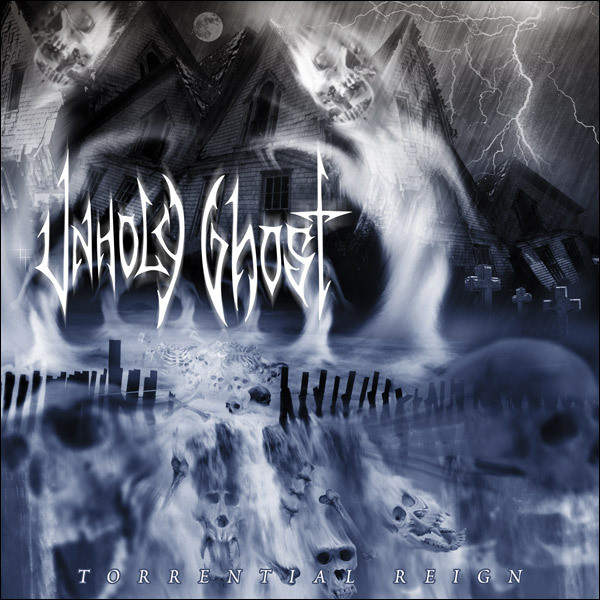 In 2013 it was rumoured that Unholy Ghost had reformed with the entire “Torrential Reign” line-up, but these stories proved to be false, as it was Pessimist (who had now established a mostly new line-up based around the Tampa region) that had reformed once again.